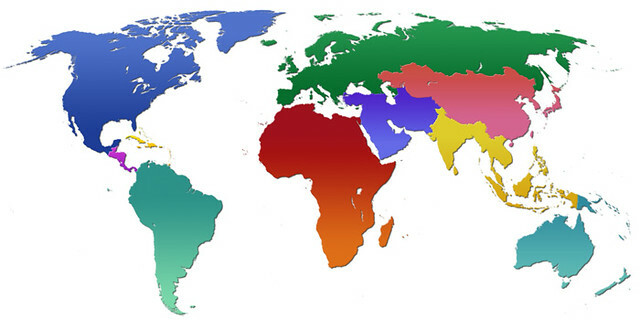 Regional focus has been always an important strategy for the global business planning. That point even shows itself at the global business slogans as HSBC Bank, The world's local bank. Local culture and differences are the main players of the planning for product development, marketing, sales, after sales, etc stages as well as Corporate Social Responsibility Planning. Most of the global brands still makes global planning and marketing for their CSR initiatives. Local websites of the global brands, give link to the global CSR websites in order to introduce what they make for CSR and Sustainability worldwide. Does it really touch to the local people of the different regions inb the world? No.. Some brands have already started to focus on different regions and started their regional CSR websites like Toshiba. Toshiba introduces four different regional CSR websites. Each regional CSR websites introduces regional CSR initiatives. Another different approach is planned by Vodafone. Locally, Vodafone's social investment is delivered by a unique footprint of 27 Vodafone Foundations and social investment programmes. These foundations respond to the needs of the communities in which Vodafone operates and they celebrate their diversity and the tangible contribution and difference Vodafone make to peoples lives. Deutsche Bank (DB) has also a similar local CSR model to Vodafone. DB has foundations at the countries where they are operational. DB raises that standard to an upper level and creates regional CSR reports. The programs are implemented locally by DB’s regional teams and supported by the bank's independent foundations. This enables DB to ensure that the bank acts as a responsible corporate citizen in the countries in which it is represented. A sustainable CSR development and investment requires regional focus and planning. Links to your global CSR initiatives will not create the expected impact at the local customers. Global brands should use the same principles that they use for local product marketing and local business focus at their local CSR planning. I agree that CSR intiatives should be 'decentralised' especially for multinational companies operating world wide. From my personal experience, I have done 25 interviews with senior managers responsible for CSR, Communications and PR in leading UK-based companies; almost all of them highlighted the idea of decentralisation as they stressed the importance of autonomy/decision power when deciding on CSR programs that fit with community needs. Great post. I think companies like Vodafone are smart to not just insist on a "one size fits all" mentality. Different regions have different concerns, and to that end, this is why Vodafone is a CSR trailblazer in the GCC region.